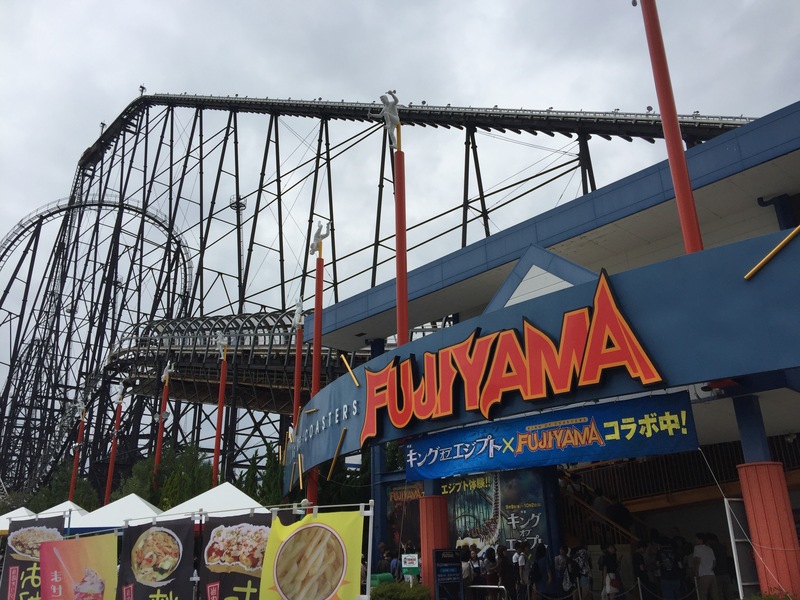 FUJI Q HIGHLAND is the most famous Japanese theme park with more than 40 attractions to make you scream…guaranteed!!! 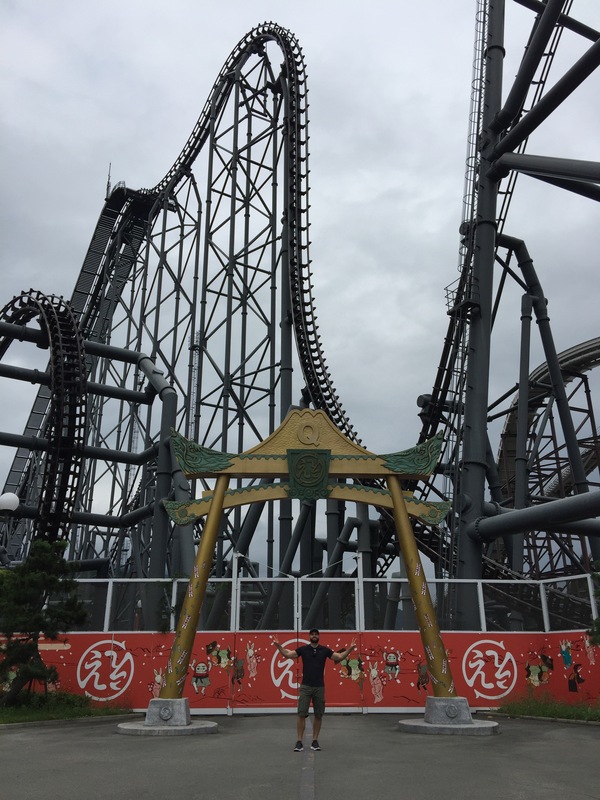 Park was open in 1968 and was on my bucket list since 2011, after introduction of Takabisha – world’s steepest coaster. Fuji Q didn’t gain its fame for unique theming or immaculate landscaping. 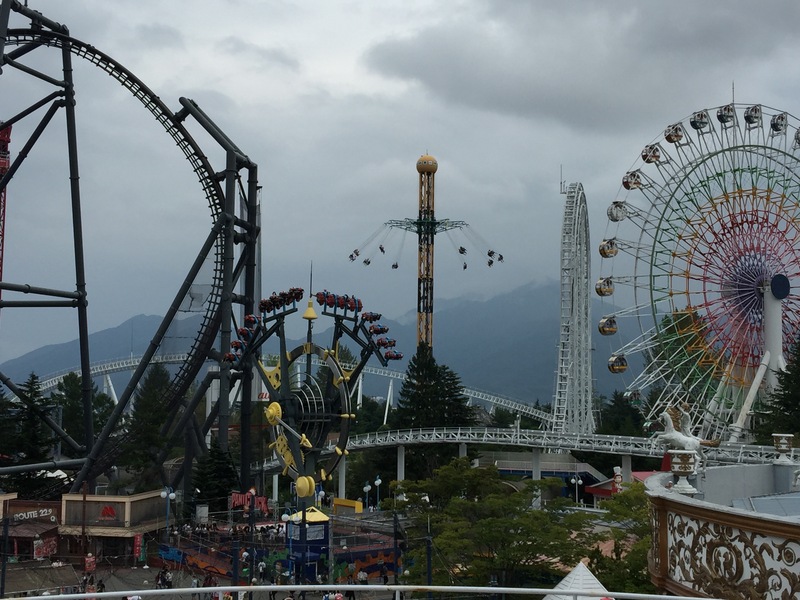 Yes, you can see the mighty mount Fuji ( if the moody weather allows ), but the main reason people come here, is to get scared inside huge “haunted attractions”, or scream your heart out on one of the record breaking rides. 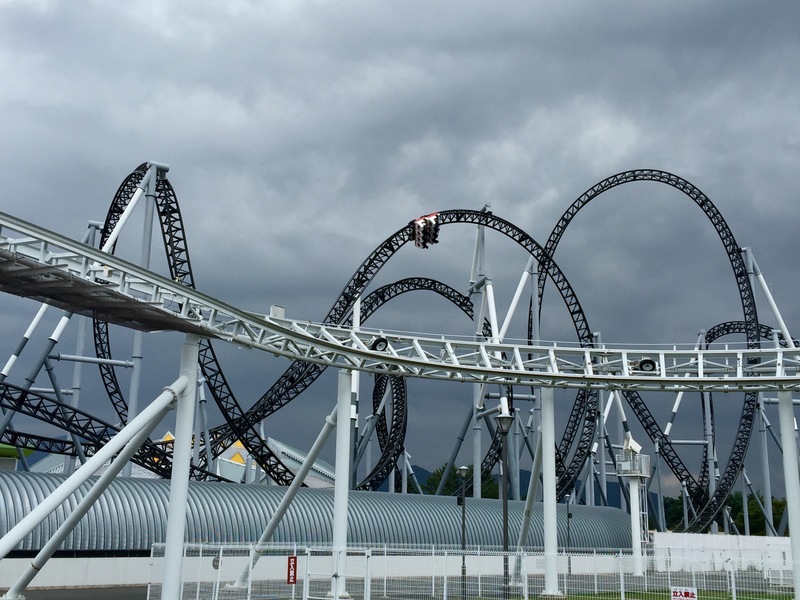 Fuji Q Park has 4 major rollercoasters and many other head spinning, stomach churning rides. The legendary King of Coasters is 79 metres tall, 130 km/h steel rollercoaster, opened in 1996 and was once the world’s tallest roller coaster and had the largest drop in the world at 70 m ( 320ft ). For me, the scariest bit was the slow “click click” lift to the top and see the ground getting lower and lower. Currently the 4th fastest in the world with acceleration of 172 km/h, in 1.8 seconds. The moment you are being catapulted out of the “petal pipe” is unbelievable and quite violent. It definitely felt more intense than Formula Rossa in Ferrari world. Interesting detail is the ominous drumming sound that flows from the speakers as passengers wait in line to board the train. This repetitive percussive music is created by taiko drums, an old traditional Japanese drum that was used to fright the enemies. 76 metres tall, 126 km/h, opened in 2006 and is only the second “4th Dimension roller coaster” ever built (after X² at Six Flags Magic Mountain in California). The ride is violent, fast, and crazy and I absolutely loved it. It’s the ultimate experience for every rollercoaster fan and “once of a life time” must do ride! The seats can rotate 360 degrees forward or backward in a controlled spin, allowing Eejanaika to invert 14 different times, even though the actual track inverts only three times. It surpasses the first built “4th dimension” roller coaster, X², in both, height and speed! 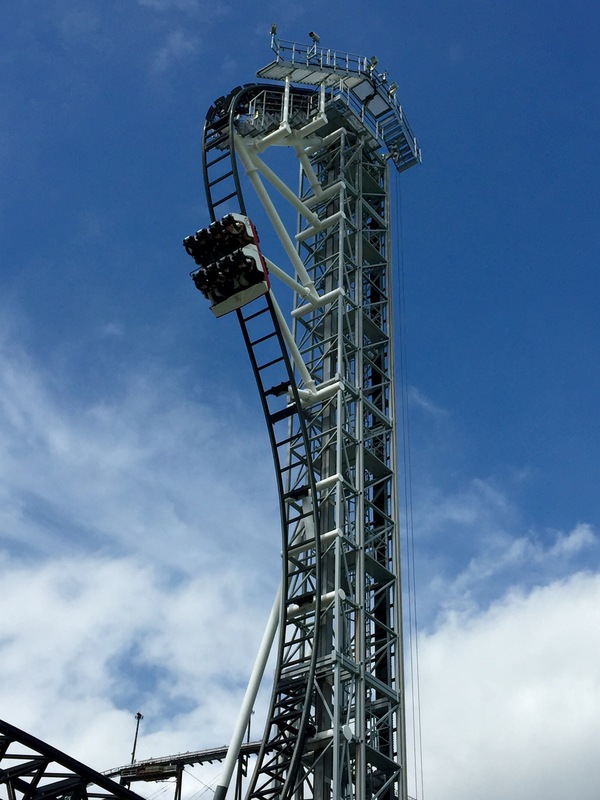 The main reason of my trip…121° freefall, as well as seven major twists over 1000 metres of track, and a drop of 43 metres! 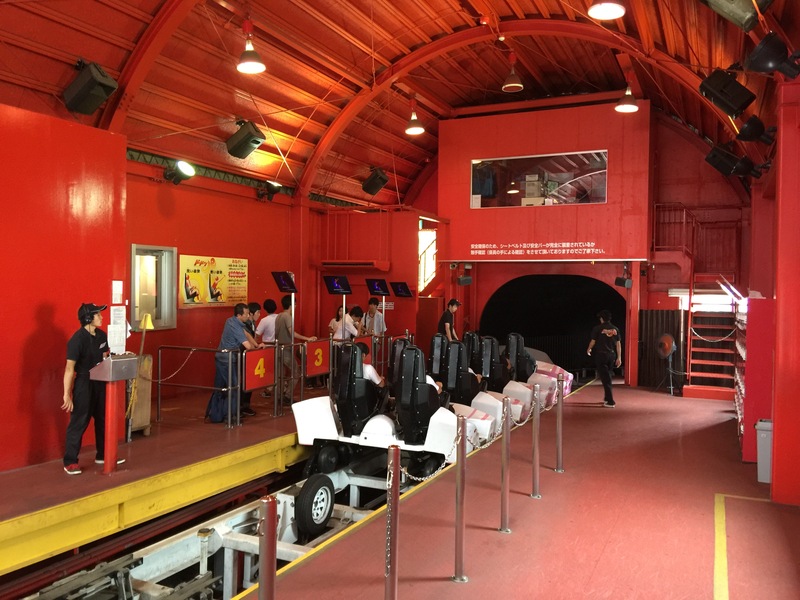 Previous Post: DUBAI PARKS & RESORTS : World’s first Bollywood theme park in pictures! Next Post: DUBAI PARKS & RESORTS : Riverland’s French Village at night !